Anarchy Chart | Domesticated Human Anarchy Chart | Online home of Crystal Flanagan. Knitter, spinner, sewer, weaver, canner, baker. 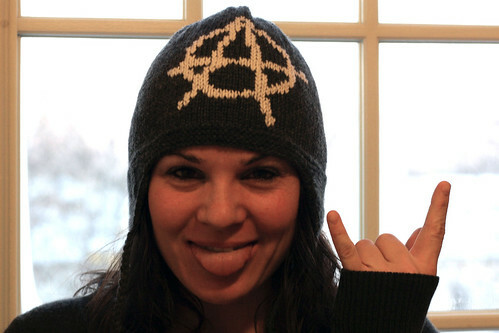 A graphed anarchy symbol, shown here on a hat I knit. Slap this on whatever knit you want it on.